Since, it's time for the holidays and I know that many of you are already started shopping for your Christmas gifts. So i guess this the best time to do a product review. The products that I would be reviewing today are from ToFebruary.com. (I just recently had an opportunity to do an interview with Cara and also, I did a "quick peek" post too). United States based online store specializing in Asian inspired fashion, jewelries, accessories, and drama collectibles. Moreover, they do ship internationally!inspired fashion, jewelries, accessories, and drama collectibles. They have a great variety of Dresses, tops, outerwear, necklaces, bracelets, earrings, cellphone charms, drama collectibles, press on nails, hair accessories and etc. Welcome to ToFebruary.com, an online store specializing in bringing you Asia's uniquely cute and colorful fashion, jewelries, and accessories. All items sold here come from Korea, Japan, Hong Kong, Taiwan, or China and many selling products are featured in Asian Inspired Fashion magazines such as Japan's hit fashion magazine, ViVi. Here at ToFebruary.com, we value each and every one of our customers and strive to make every transaction a fast, successful, and most of all, happy one! 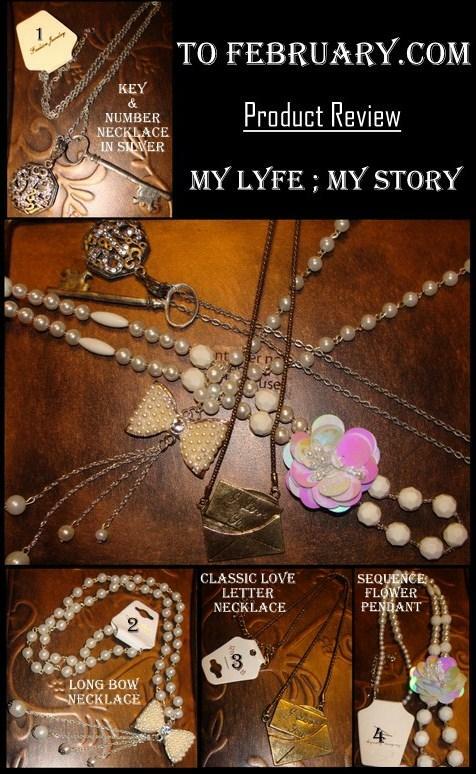 I received four different types of necklaces to do a review on and therefore here are my four reviews for each item. The Long Bow necklace is really classy with a feminine touch. Plus, the whole necklace is fully (not literally) pearls and who doesn't love white shiny pearls. It's really beautiful and I love the elegant details on the main bow pendant. Also, I had a small problem with the bow (the pearl fell off, however my handy-dandy "super glue" to save my day). In addition to that the necklace does make tons of noises, well when I wore this necklace to campus, guess what it does to clash with my jackets slipper and it made tons of noise (it was a little too loud, plus all eyes were on me) and also, if you were wondering - no it wasn't a windy day. The necklace it really long and it is a little too heavy. However, I can handle it without a doubt. Other than that, this necklace makes any simple outfit to look really classy and girly. Also, it looks perfect with dresses, especially with my black dresses. Other than that this necklace is really beautiful and could make any outfit out. This necklace is have a vintage look. It's goes well with silk tops, dresses and even plain t-shirts. You could pair this necklace necklace with mostly any outfit, furthermore, you could play with it by dressing it up or down (both ways it really cute and vintage). Since I don't have any vintage looking jewellery, I feel in love with the moment I received it for the review. It was like love at first sight! I actually ended up pair this Classic Love Letter Necklace with a silky cotton cow-neck top and it look extremely adorable plus, to pull it all off I wore white jeans and black angle boots (it looked so cute - I know that by now many of you have a picture ready in your heads). This look will be published in one of my next few posts, which are planned out as a small holiday treat - requested by the readers. Overall, I am in love with this necklace. It goes well it all my outfits in my closet. It's something that I can wake up in the mornings and just pair it with any items. This necklace is really chic and the colourful flower pendant just makes everything complement each other. It's long just as the Long Bow Necklace however the only difference between than the pendant is the weight. This necklace feel really light and you won't even feel as if you are wearing a necklace. With this necklace, you can remove the flower pendant and use it as a broach and with the necklace you can wear by wrapping it around twice or even once. All three ways, the necklace looks great. Also, it would look amazing with plain solid coloured dresses (it would be great for tea-parties and such). It has an elegant touch to it and I jazzed up my plain top and made them look classy (and chic). The necklaces are all so adorable yet stylish in their own unique ways. Absolutely amazing, it truly makes the perfect gift and definitely will be shopping on this website for my Christmas shopping!! 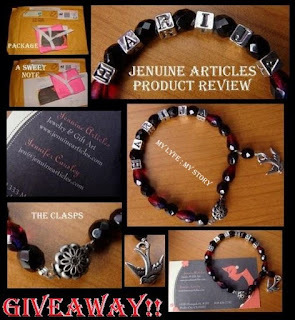 Check out the website "ToFebruary"
ToFebruary's YouTube Channel for raffles and contests. Facebook for updates become friends. Have fun shopping for the special occasions! Also, I hope all of you have a fantastic day! Disclaimer: I received the product from ToFebruary.com for review purposes. The opinions expressed in my review are honest and my own, based on my personal experiences with the product. It's almost time for the holidays and I know that many of you are already started shopping for your Christmas gifts, unless your like me (a last minute shoppers). Well, during the end of summer break I was recently giving the opportunity by ToFebruary to do a product review for the company. Finally, after a few months of trail, I would love to confirm that I have officially fallen in love with the website. There are some amazing selection from clothes to unique jewelleries! Ever since I feel in love with the website, I decided to do a interview with Cara, the founder of ToFebruary. "Welcome to ToFebruary.com, an online store specializing in bringing you Asia's uniquely cute and colorful fashion, jewelries, and accessories. 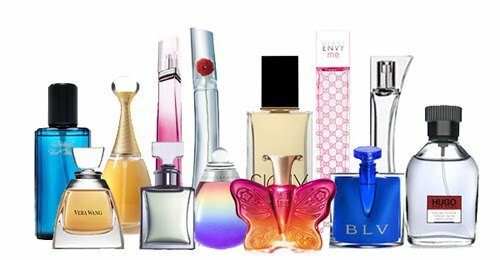 All items sold here come from Korea, Japan, Hong Kong, Taiwan, or China and many selling products are featured in Asian Inspired Fashion magazines such as Japan's hit fashion magazine, ViVi. Here at ToFebruary, we value each and every one of our customers and strive to make every transaction a fast, successful, and most of all, happy one!" When and how did “ToFebruary” get started? ToFebruary.com started around 2009. It actually began as a small thread shop in a selling and trading forum. Is there a story behind your name “ToFebruary”? It's actually sort of strange to say, but it's a strange inside joke between my cousin and I. When we were first designing the ToFebruary.com website layout, we couldn't start the actual design until we had the logo down... we ended up randomly pairing names together from a number of inside jokes we had, and "ToFebruary" randomly came out. To make things simple, I usually tell those who ask that February carries the sweet holiday, Valentine's Day. Our products mirror Valentine's Day -- they're all super adorable, cute, and sweet! I'd say our interaction with our customers and fans is unique. 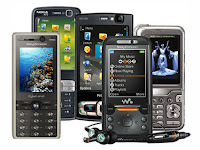 We really gear everything towards our customer's wants and needs. We can't thank them enough, so we also host a lot of giveaways and contests. Furthermore, I think one of the most unique features ToFebruary.com carries is our attempt to carry out requested/recommended items from our customers. What are some of your inspirations for your jewellery/clothings? Asian fashion magazines, such as VIVI, inspire our clothing and jewelries. I love our jewelry collection. My favorite piece is the Long Bow Necklace (X227). It's absolutely elegant and great in quality. It's super girly and feminine. I also love our earrings collection -- there are just so many ridiculously cute styles there! What are your price rangers? Our prices range from $5.00 (lowest) to $59.00 (most expensive). Most items fall in between the $8.00-$25.00 range. We try to keep things as affordable as possible for our customers. What's in the future for "ToFebruary"? Keep doing what we're doing, :). For clothings and jewellery collections, what trends do you see for the fall/winter 2011? I'd say a lot of cute animal-themed clothing. 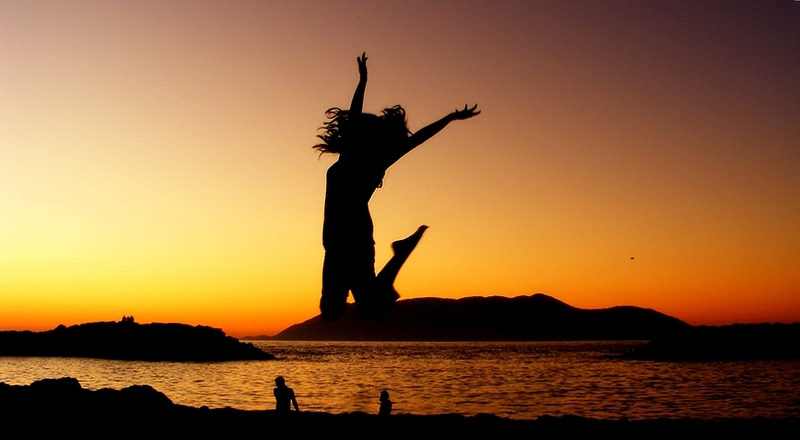 If you could pick three words to describe "ToFebruary", what would it be? I'd say ToFebruary.com is adorable, affordable, and accommodating. We sell adorable products at affordable prices... most of all, we accommodate our customers to make sure they're satisfied. What are some of your best-selling items you recommend every woman having in their jewellery collection? clothing collections? The animal themed hoodies (ex. Bear Hood Jacket) are definitely popular items, as well as clothing with adorable animal prints on them (ex. Hello Panda Hoodie in Cherry). There are several drama collectibles, such as the Kissing Star Necklace from Boys Over Flowers, and the 49 Days Teardrop Necklace, that are hit sellers. I think every girl should have something super adorable in their closets! Jewelry wise, I strongly recommend the Long Bow Necklace (X227). As I mentioned before, it's ridiculously adorable, elegant, and classy. The necklace can spice up a casual outfit, or bring out the classiness in an sophisticated outfit. Here are all the pieces that Cara listed in the interview! Recently, I have been think of new "random" topic for a post... but today's post is inspired by many of the youtube beauty gurus out there & also to one of my readers for mentioning this topic to me (on one of my recent posts). 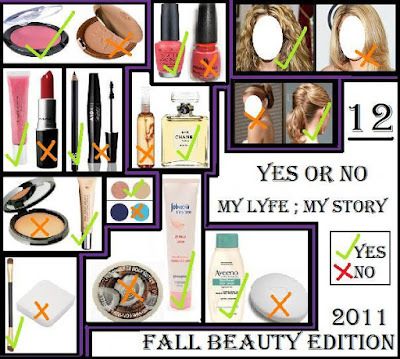 This post is called ""Yes or No" Beauty Edition 2011". It's about which one would I rather pick. In this photo there are literally twenty four items I decided to categories it into twelve group. Then, for there I choose to pick which one I would choose if I was only allowed to pick one. So, I placed a green check mark on the ones I choose and a red cross on the ones that got rejected. I want to know about your "Yes & No" Beauty Edition post too. Please feel free to redo this post from your perspective and please do share your list with me! 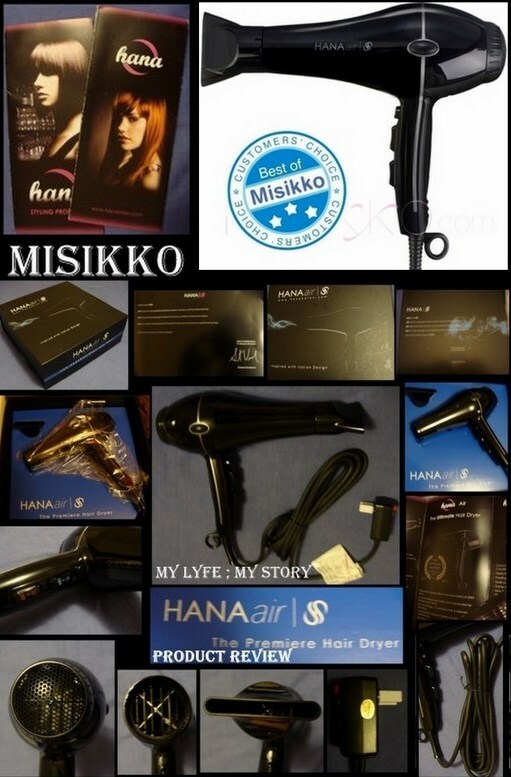 A few weeks ago, I was contacted by to review HANA Air's Professional Hair Dryer from Misikko. This was literally an early birthday gift for me. Well, Thursday I did a post on a quick peek inside the package and this post will be only my opinion on the HANA Air's Professional Hair Dryer from Misikko. Overall, for the movement I received the package I officially fell in love with the product - just the package and how it was presented to me were also a reason for my experience of "love at first sight". So, when I opened the box, other than the hair dryer itself the box also included a small white pouch that had extra nail filer and hand sanitizer. It also came with a nozzle. The hair dryer has a unique design for it's logo. It literally has three buttons (Temperature, Speed and Cold Shot) and they are all colour coordinated. Plus, it has a professional salon touch of the loop hole on the end of the hair dryer - this is really handy and definitely keeps you organized. It has a pretty long wire cord (it's really long). Also, the Hana's Brand Commitment Statement, it's on the back of the box. This is a lovely statement. My opinion after the trial is still says the same - I still love it! It actually won the battle with my hair. My hair is naturally on the wavy so blow drying my hair straight is a battle field aka a huge challenge. However, with this hair dryer, it simplifies my life while keeping my hair healthy. Plus, the best part is that it's so quiet and doesn't really disturb anyone's sleep or bother anyone in my house (that itself is a huge plus point on my book). The machine helps me to save so much time in my everyday life ever since I started using it, plus it helps my hair to be tangled-free for the whole day. Overall, the product is super easy to use, fast results, hair looks healthier and more shiner, plus it looks like it has tons of volume, love the packaging, and really quiet. Also, I do agree that the price is a little weight on everyone's pocket, however it's worth every penny. In essence, this is still an amazing hair dryer. It produces great results for me and makes my life easier. Disclaimer: I received the product from HANA Air's Professional Hair Dryer from Misikko for review purposes. The opinions expressed in my review are honest and my own, based on my personal experiences with the product. After receiving tons of emails asking me who I am? I finally decided (well gotten the courage) to show to my readers and followers the face behind "My Lyfe ; My Story"
To be frank I started blogging to reduce my stress however eventually this blog has reached up to high levels of success (which I still can't get over - still feel star struck about it) I received tons of views, comments followers, readerships, sponsors and etc. However, the main part of my success goes out to all my readers and followers, for helping my reach high I never dream of - thank you! 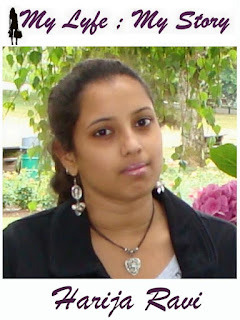 Well this is me - "Harija Ravi" the founder and owner of "My Lyfe ; My Story"
Many of you already know more about me from my "About Me" page. However, since I received a few random questions I have decided to do a Q&A post to get to know me more. As requested, I answer your random questions in this post. Thank you for your questions and hopefully I can do another one in the future. Also, after reading this post you would definitely find out more about me and my childish side! What food can you absolutely love to eat? Chocolate!! Yes, I considered chocolate as a healthy food, therefore my most favourite food in the world is chocolate. PS. However, I am not a fan of white chocolate. Who is your favourite cartoon? Baseball all the way and I support the "Toronto Blue Jays"
Do you swear, if so how often and when was last time? What's it like driving manual/stick shaft? I am used to the stick shaft so my vote goes to that. I want to be nominatee for the "Nobel Peace Price"
Officially things are back to normal! I am literally want to jump up and down but instead I ended up lying on my bed writing another blog post - well this is better than doing nothing at all. As I mentioned in the beginning, today I had my final midterm for the next two weeks, so I am so calm and relaxed now. However, I do have to start catching up with my notes, readings and start working on my research papers. But, tonight everything can wait! Since it's my night off to just sleep peacefully - and mind-free aka empty headed. Also, I want a say "Thank you" to all my old and brand new followers for all you support!!! Recently, I have been receiving tons of requests, questions and etc - this has literally helped me a million by give new more topics to cover. so, thank you, thank you, thank you .... thank you so much!! This post is a quick thank you and it also includes the two giveaway winners! Since it includes my special day... i'm extremely excited! Well take care & have a lovely week! Today's post is focused on the topic "what causes headaches?". This is a little quick and simple post!! Once in a while I go through this stage, where I get struck with the worst headaches known to the world. I literally hate them - it takes control of my body which leads to a not-so progressive day. I know that this is a major problem => headaches! So, today in this post I am gonna be talking about the causes of headaches to help us avoid them for future purposes. Note: All the things mentioned in this post are part of my research assignment for one of my psychology course. Just remember it's better to be safe and sorry! However this is my list of items and I would love to know what you picks?